MTN [JSE:MTN] executives may have expected investors to cut them a little slack after they got potential liabilities of $8.1bn in Nigeria reduced to $53m last month. Not so. MTN stock has risen just 2.8% since the settlement on December 24, still 20% below its price in late August. That’s when Nigeria’s central bank first alleged that the Johannesburg-based wireless carrier had illegally repatriated funds from its biggest market. MTN faces a Nigerian court hearing on February 7 over a separate claim that it owes $2bn in back taxes, which it disputes. There’s also the memory of an earlier, $1bn Nigerian fine levied on the company for failing to disconnect subscribers without proper registration. 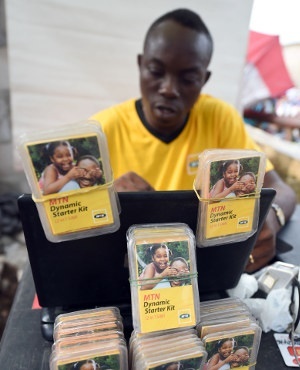 MTN is the mobile market leader in Nigeria with about 66 million customers, so it’s also vulnerable to broader risks facing Africa’s biggest oil producing nation, such as a tumbling oil price and next month’s presidential election. The company is now uninvestable, according to Karin Richards, an independent trader based in Cape Town. “Apart from anything else, the constant claims, all for massive amounts, must be absorbing an extraordinary amount of management time,” she said. The shares traded 0.4% higher at 9:29 in Johannesburg Monday, valuing MTN at R165bn.